The Green Reaper has been supplying garden machinery in the UK for many years. 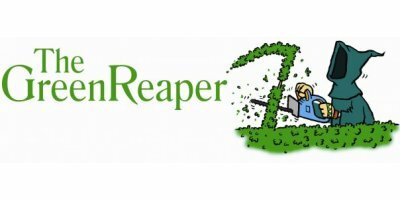 Realising the opportunity to complement the business by offering our products over the internet, at highly competitive prices and direct to your door, The Green Reaper`s distinctive website was launched in early 2004. We aim to retail only quality products from top brand manufacturers, backed up by our wealth of experience and expert product knowledge. You will find a selection of well over 2,500 products suitable for both the domestic and the professional gardener available to buy on our website. We stock many brand leading products and also utilise direct delivery solutions from a number of manufacturers and distributors to ensure fast delivery of you order, with a high proportion of orders being despatched for next day delivery. The Green Reaper marked the start of the new decade in 2010 with a move to new premises in Thame, Oxfordshire, where we now operate from a modern warehouse, office and workshop facility. Our warehouse facility gives us the ability to bulk purchase products at low prices so we can offer you great deals together with fast and efficient delivery. If you are seeking to view a particular product, we strongly advise that you contact us first to check that it's in stock as we wouldn't want you to have a wasted journey. Building on our success over the past seven years, we changed the face of The Green Reaper in 2011 with the launch of a brand new website. With many additional and exciting new features and the benefits of member registration, we look forward to continuing to grow our business and, of course, customer satisfaction, in the years to come.